Zari Hassan dumped Diamond Platnumz on February 14th 2018. The mother of five announced that she decided to end her relationship with her baby daddy because of his infidelity. 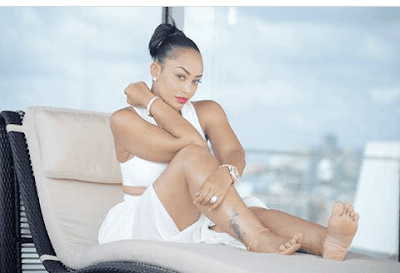 Zari however harbored no hostility towards Diamond or members of his family, she used to talk with her baby daddy’s mother Sanura Sandra on social media. Things however changed towards the end of last year when Tanasha came into Diamond’s life. Zari decided to block members of Diamond’s family perhaps because she didn’t to be hurt seeing their posts. Diamond’s family warmed up to Tanasha and have been posting her photos on social media. The singer’s cousin Rommy Jones and his sister Esma Platnumz have since spoken about Zari blocking them. Speaking during an interview with Global Publishers, Esma Platnumz said she could not get involved in Diamond’s relationship, however stressing that she only wants to see her brother happy. “We cannot intrude into Diamond’s relatonships, but we support him. For now he is with Tanasha so we have to show him our support,” said Esma Platnumz.